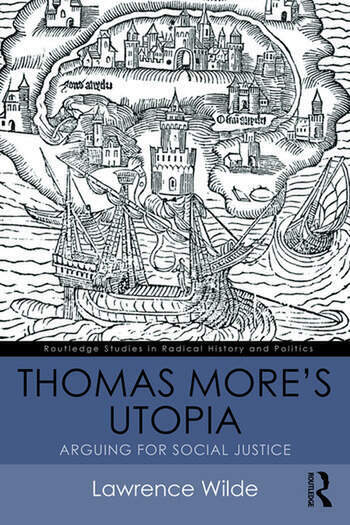 The 500th anniversary of the first publication of Thomas More’s Utopia invites a reappraisal of its significance, not just as an ironic and playful fiction, but as a serious contribution to social and political thought. More delivers a searing critique of the injustices of his time and imagines a radical alternative based on common ownership and representative government. In this new interpretation, Wilde surveys the context from which Utopia emerged and analyses its key themes – politics, economics, social relations, crime and punishment, war and religion. Although the society of the Utopians is created as a remedy to the ailments of the old world, there are restrictions on individual freedom which reflect More’s suspicion of human nature’s innate fragility. Wilde argues that this should not detract from the power of the book in challenging the root causes of inequality and oppression. The true legacy of Utopia lies in its plea for social justice in the face of a world driven by greed and the lust for power. A compelling case is made for the continued relevance of this masterpiece, a legacy that should not be diminished by attempts to discredit More’s character, which are dealt with here in the epilogue. Offering a new perspective on this important historical text, this book is essential reading for students and scholars working in radical politics, the history of social thought and literature, as well as anyone interested in learning more about this fascinating work. Lawrence Wilde is Emeritus Professor of Political Theory at Nottingham Trent University, UK.